Most of us have a limited understanding of the powerful role economics has played in shaping human civilization. This makes economic history - the study of how civilizations structured their environments to provide food, shelter, and material goods - a vital lens through which to think about how we arrived at our present, globalized moment. 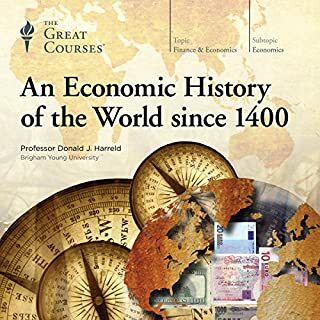 Designed to fill a long-empty gap in how we think about modern history, these 48 lectures are a comprehensive journey through more than 600 years of economic history. Gross domestic product. Health insurance. Soaring energy prices. Major economic issues dominate today's news, but how do these issues impact the average citizen? 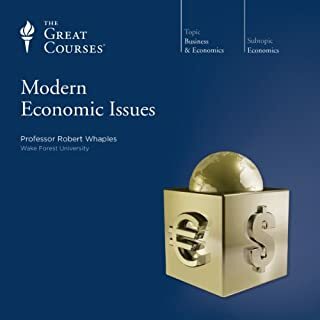 This primer in 21st-century economics for the non-economist surveys today's most urgent economic issues that affect both global events and our everyday lives.You'll learn what economics has to say about making the decisions - big or small - that affect our daily lives. Why are we choosing to have fewer children, even as we put more time into raising each one? Why are we so often willing to follow the herd and the opinions of strangers when making important decisions, even when those decisions are deeply personal? Most surprising: Why are questions like these increasingly attracting the attention of economists? From the trenches of World War I to Nazi Germany to Saddam Hussein's Iraq, the 20th century was a time of unprecedented violence. Yet while such monumental violence seems senseless, it is not inexplicable. If we can understand the origins of violence, we may prevent even greater horrors in the century to come. 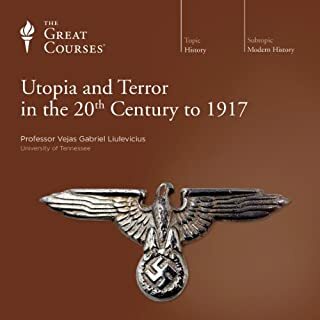 These 24 necessary lectures trace the violent history of the 20th century, beginning with its early roots in the American and, especially, the French revolutions. Economies are deeply complex systems. The marketplace involves many economic actors behaving in rational and irrational ways, sustaining a dizzying array of interconnected activity. Because of the number of participants involved, the unpredictability of their actions, and the sheer variety of possible actions, some degree of economic uncertainty is inevitable. 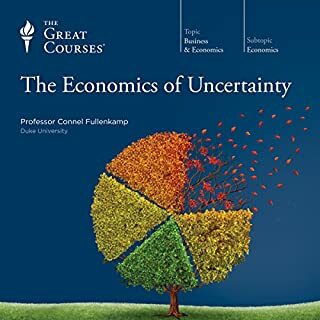 In 24 practical and empowering half-hour lectures, The Economics of Uncertainty takes the mystery and dread out of uncertainty, giving you the tools to deal with risk in every phase of your life. 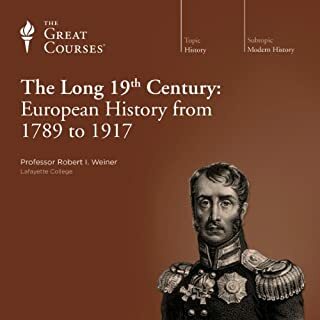 Few periods of history offer such captivating complexity as Europe in the long 19th century between 1789 and 1914. From the idealism of the French Revolution to the power of the Industrial Revolution to the chaos of World War I, this fascinating whirl of events, personalities, and forces formed the foundation for the modern world. Touched off by a terrorist act in Bosnia and spreading all too quickly beyond the expectations of those who were involved, World War I was an unprecedented catastrophe with a ghastly cost. After this first "total war"-the first conflict involving entire societies mobilized to wage unrestrained war, devoting all their wealth, industries, institutions, and the lives of their citizens to win victory at any price - the world itself would never be the same. From the Oval Office to the streets of Moscow, world leaders and ordinary citizens alike share interest and concerns about Russia. Can democracy survive there? What does the future hold for the once expansive and still powerful Russian nation? 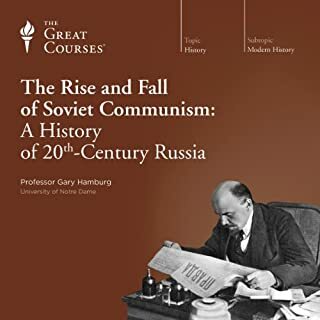 Is Soviet Communism truly dead? These are the kinds of questions diplomats struggle with every day. Money and finance play a deeply fundamental role in your life. 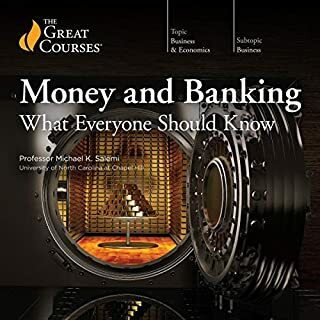 Now, let an expert professor lead you in a panoramic exploration of our monetary and financial systems, their inner workings, and their crucial role and presence in your world. 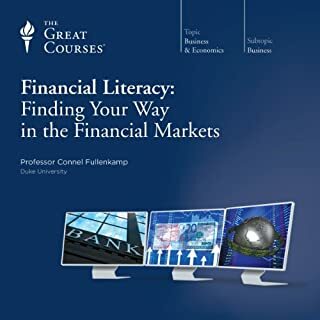 As a guiding theme of these 36 content-rich lectures, you observe the ways in which economies require efficient and evolving financial institutions and markets to fulfill their potential. Economic issues are active in our lives every day. However, when the subject of economics comes up in conversation or on the news, we can find ourselves longing for a more sophisticated understanding of the fundamentals of economics. 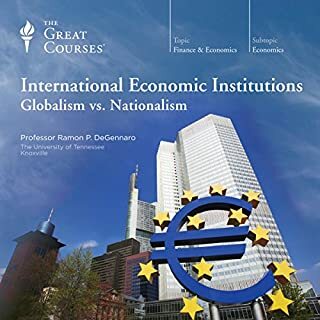 These 36 lectures will help you think about and discuss economic issues that affect you and the nation every day-interest rates, unemployment, personal investing, budget deficits, globalization, and many more-with a greater level of knowledge and sophistication. 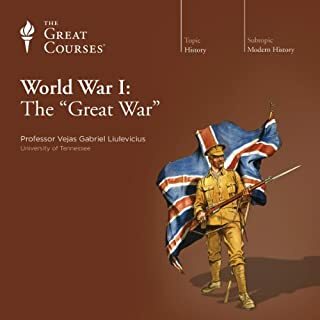 This comprehensive series of 84 lectures features three award-winning historians sharing their insights into this nation's past-from the European settlement and the Revolutionary War through the Civil War, 19th-century industrialization, two world wars, and the present day. 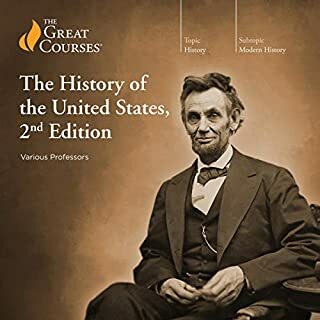 These lectures give you the opportunity to grasp the different aspects of our past that combine to make us distinctly American, and to gain the knowledge so essential to recognizing not only what makes this country such a noteworthy part of world history, but the varying degrees to which it has lived up to its ideals. Shakespeare's plays - whether a comedy like A Midsummer Night's Dream, a history like Henry IV, or a tragedy like Hamlet - are treasure troves of insight into our very humanity. 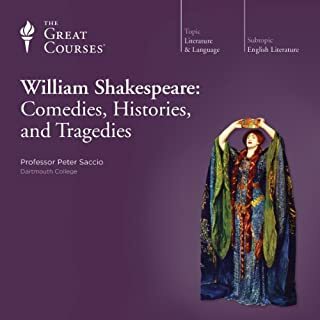 These 36 lectures introduce you to Shakespeare's major plays from each of these three genres and explain the achievement that makes him the leading playwright in Western civilization. Since the end of World War II, groups such as the World Trade Organization, International Monetary Fund, World Bank, European Union, and G-20 have sprung up with a variety of missions, including promoting trade, ensuring financial stability, eradicating poverty, and advancing sustainable economic growth. Behind these worthy goals is the ultimate aim: preventing the kind of global economic instability that can easily lead to war. When it comes to economics and economic theory, a few thinkers dominate the landscape. Adam Smith, Karl Marx, Alfred Marshall, John Maynard Keynes, and a handful of others have shaped the world of economics and influenced our lives. These 10 lectures acquaint you with the thoughts, theories, and lives of these great economists. 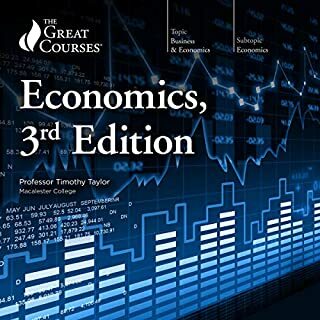 You'll grasp the guiding principles of economics through a better understanding of the economists who developed them. In this broad span of time since these thinkers first presented their ideas, economic issues and concerns have changed greatly - but core economic doctrine remains. These lectures provide a fresh take on how various economic theories were formed and how subsequent economists fine-tuned those theories. They show that there are valuable lessons to be learned from history's great economists, whether their theories have held up over time, required revision, or been discredited in practice. 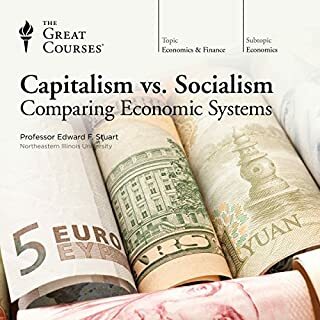 And as Professor Taylor leads you through those theories, you'll come away with insight about why some current disputes over economic policy have been continual sources of argument over the last several centuries. 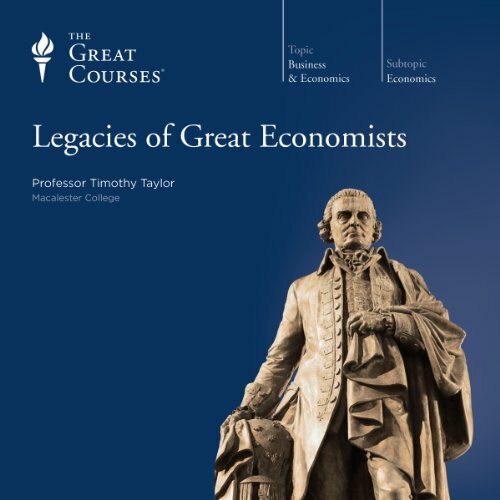 By providing a glimpse into the minds of the geniuses who laid the foundations of modern economics, Professor Taylor offers new ideas and perspectives to enhance your understanding of the subject. More than dull numbers and graphs, this series focuses on personalities and brings economics to life. This professor is passionate, obviously engaged with his subject, clear and accessible. This survey moves across many big books full of ideas pretty quickly, so naturally it does not get into the more abstract and technical fine points. But to readily get a good basic feel for these ideas and thinkers (and their writing, which is critiqued a bit, and explained in light of the prevalent ideas of their times), one couldn't start at a better place. Who knew economics could be so captivating? 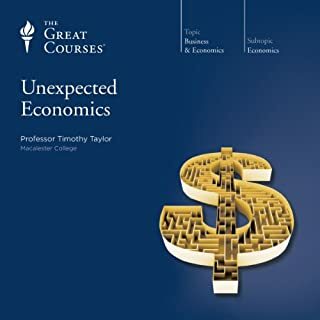 This is the second series I've listened to by Tim Taylor and I have to rank him right up there with the best of The Great Courses professors. He is easy to listen to. -- energetic, passionate about the subject, and able to explain anything in the simplest of terms. This series takes you on a marvelously captivating walk through the history of economic thought -- how great minds evolved our thinking to understand what an economy was and what made it work. So from a historical perspective, it provides a fascinating perspective on our evolution as a society. From an economic and political perspective you will gain wonderful insights. I dare say your friends will think twice about quoting Adam Smith or Karl Marx in your presence once you've finished listening to this; and when politicians quote John Maynard Keynes or Milton Friedman, you'll know which parts are established fact, and which parts remain controversial theory. these lectures were recorded before the financial crisis of the late 2000s, and I think that's a good thing. You will understand the prevailing theories of macroeconomics and decide for yourself how it applies today. A very nuanced story and well narrated. I have learned a lot of things from this lecture. Impress EVERYONE at the party. Remarkable Course. Not only do I recommend this course, friends are forced to listen to it on road trips. 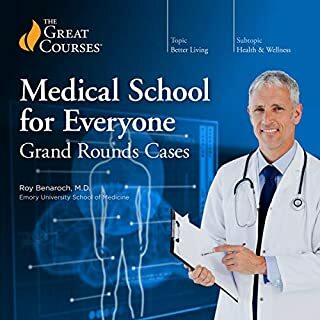 More often they not, they sign up for Audible to download the full course. 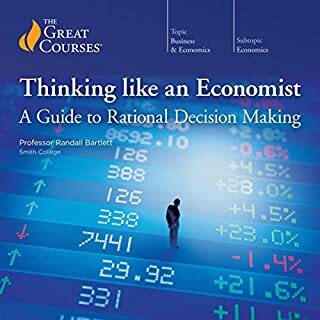 Incredibly creative, and intriguing introduction to Economics for beginners and unbelievable tidbits for those who have studied it for years. This is riveting material, that speaks for itself. What does Professor Timothy Taylor bring to the story that you wouldn’t experience if you just read the book? His ability to articulate complex ideas is outstanding. Taylor is one of those professors who is extremely passionate about the stories he tells. That passion makes his delivery impossible to ignore. He has an ability to keep me focused and engaged for a long period of time. If I had 12 hours in the day to listen to all of it, I would. Professor Taylor's delivery keeps you engaged for as long as you have to listen. This is one of those courses that you will listen to multiple times. I love the ability to pick up anywhere in the course and learn something new. You'll find yourself bringing up stories from this course in multiple social settings. It has made me look like the smartest guy at parties, dinners and the office multiple times. Must read. What was one of the most memorable moments of Legacies of Great Economists? The lectures are conversational and the content engaging (for those interested in the history of economics). It's fascinating how some the famous economists have crossed paths and refined their theories through letters and lively debate. If you recommend not to read Smith but then discuss him for an hour was more than annoying. As someone whom purchased the course as a reminder to remain fresh it was a nice review. For someone who has no business or economic background examples of theories would be a good idea just like economy manipulation from which government agency in which country or money exchange manipulation and how it effects the economy on a world scale would be better than a single poor vs rich household. Prof. Taylor does a great job. Very useful summary of the subject and the contribution of great economists. Tim's passion keeps you riveted throughout the 10 lectures. 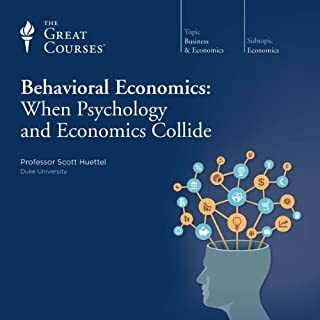 Each lecture is an excellent summary of one economist's thought processes and accomplishments--as well as their weaknesses. I will listen to this series more than once, to catch parts I missed and deepen my understanding.